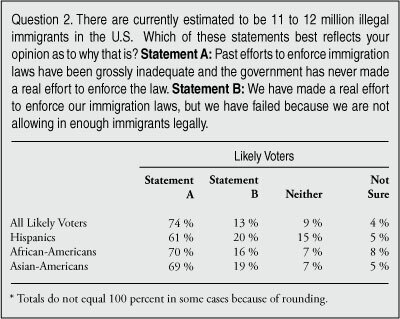 The overall findings of this poll show a significant divide between the perception that minority voters want legalization and increased legal immigration and the reality, which is that they want enforcement and less immigration. 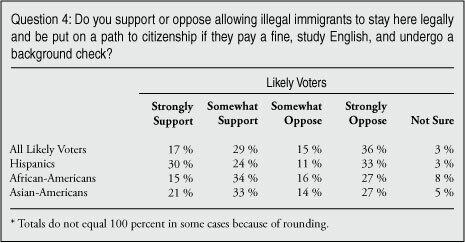 Like most Americans, minority voters are not anti-immigrant or anti-immigration per se. 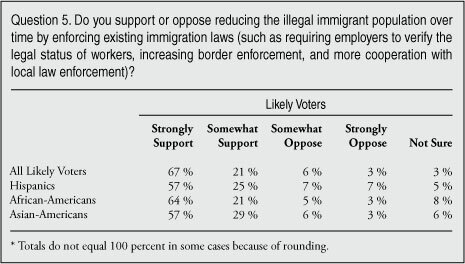 Moreover there is not unanimity on the immigration issue among or between groups. 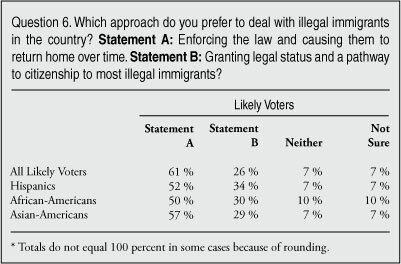 What the poll does show is that, like most Americans, Hispanic, Asian, and black voters want the law enforced and illegal immigrants to go home. 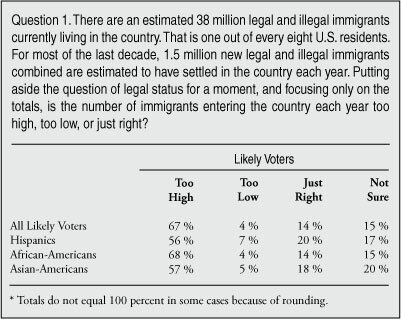 Moreover, they think the overall level of immigration is too high. When some leaders of minority groups speak on immigration and argue for legalization they are merely offering their own personal opinions, not necessarily those of voters in these communities.